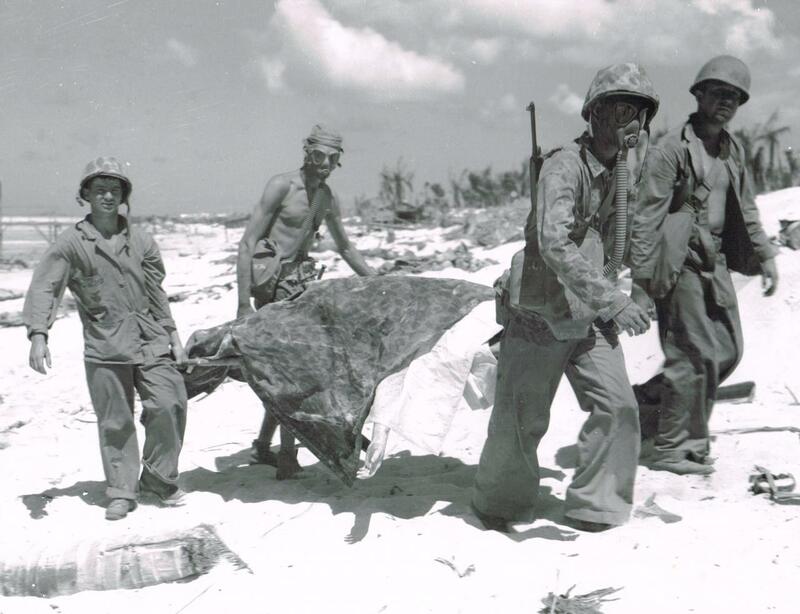 The Battle for Tarawa Atoll ranks among the bloodiest in Marines Corps History. 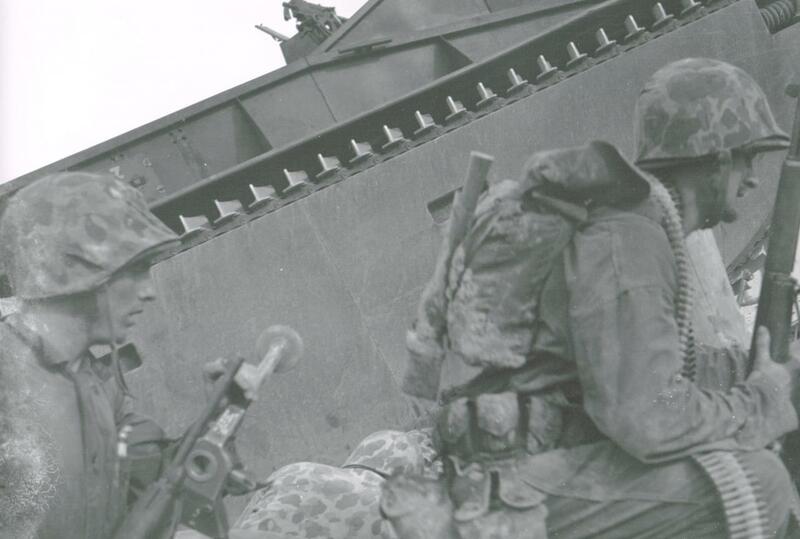 For those unfamiliar with the event, you can read the U.S. Marine Corps version by clicking here. 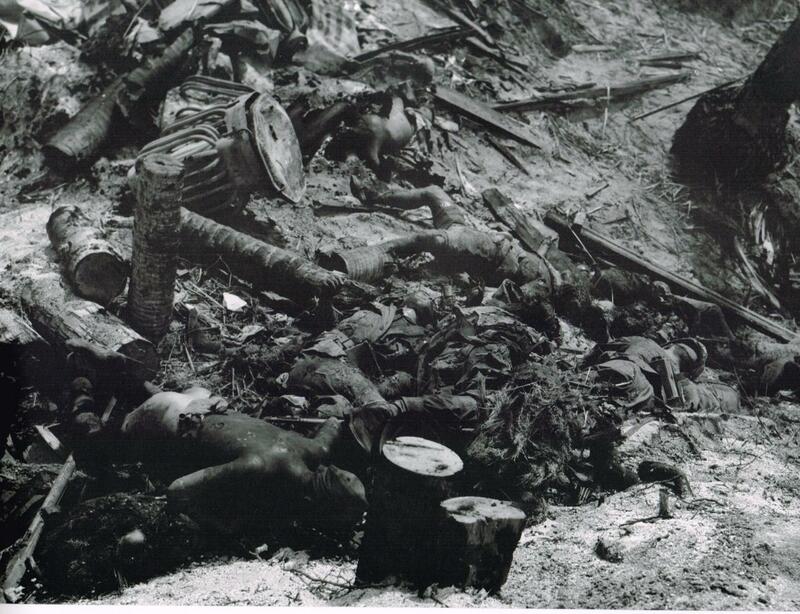 This page was designed as both a tribute to those that gave their lives and a memorial to those that remain missing. 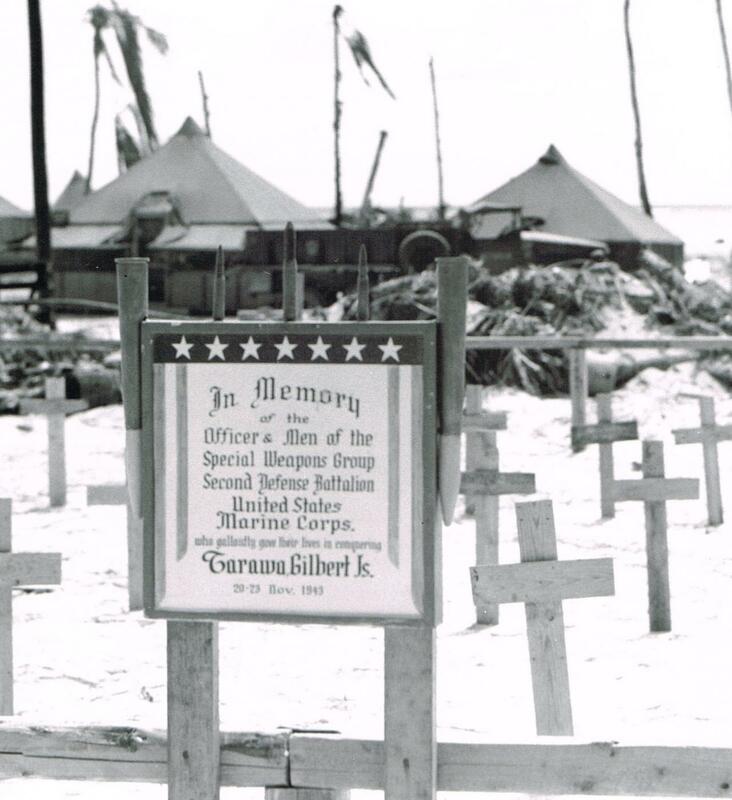 The displayed photographs are arranged in date sequence, showing how they fought, died, the original burials, memorialized graves and events that have transpired since the battle. 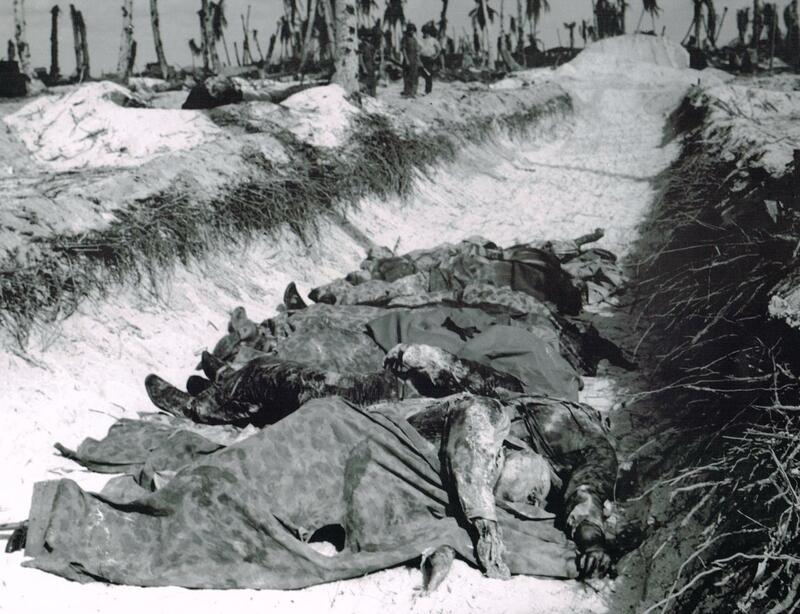 Organized burial of the dead began on 21 November 1943 under the supervision of the division chaplains. 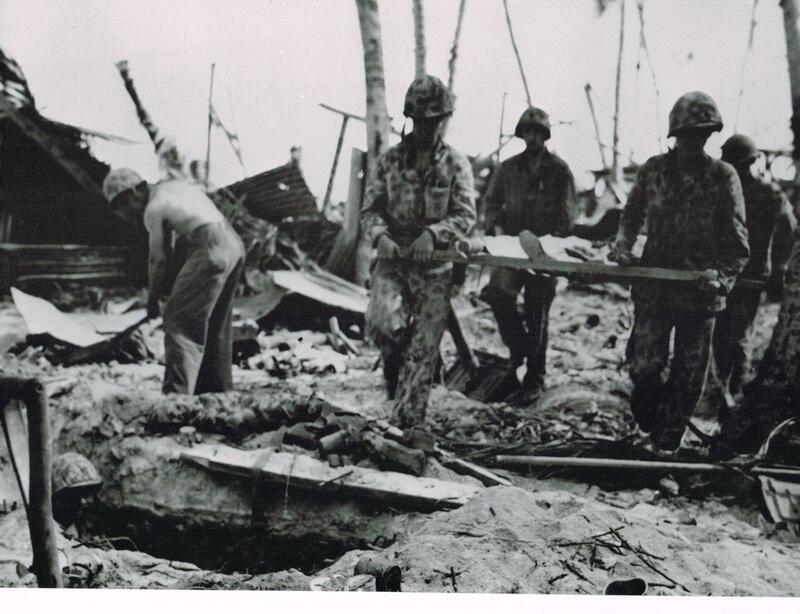 The burials ranged in size from single graves to long trench burials containing large numbers of marines and sailors. 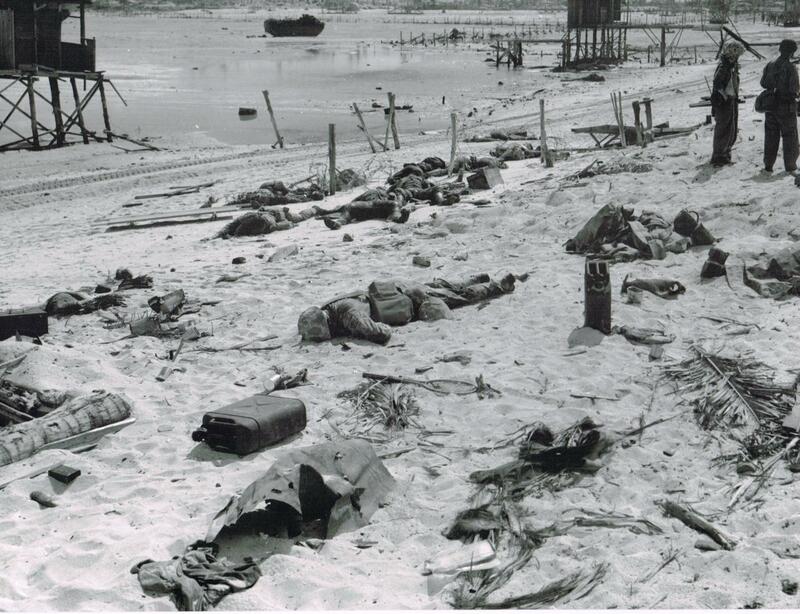 Many were buried where they fell. 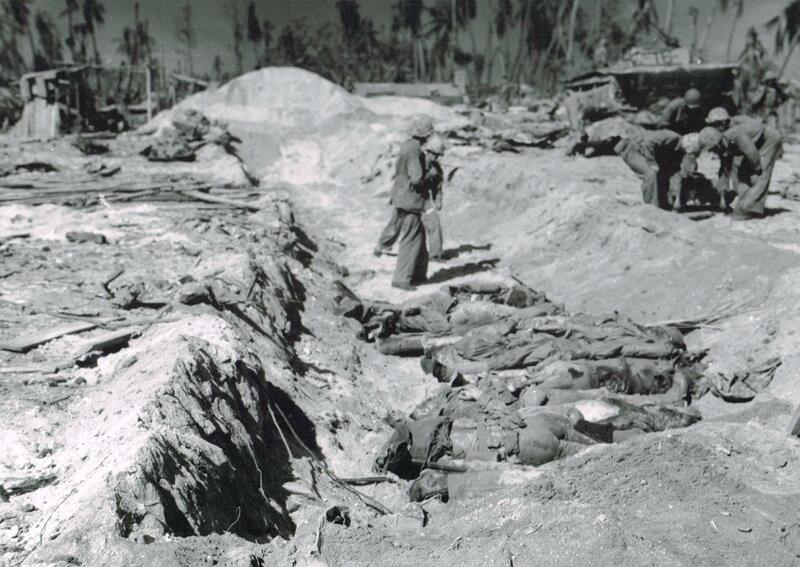 When the battle ended, individual units tried to gather all of their dead into named cemeteries. 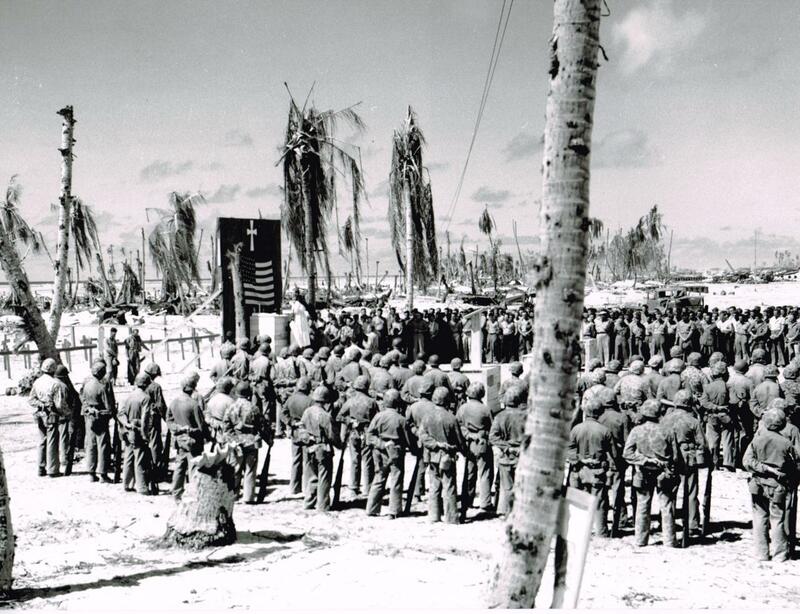 The burials continued for two weeks and by D+14 there were 622 Marines and sailors known to be buried on Betio, 34 on Buariki, and one Marine in the French Catholic Cemetery on the north end of the atoll for a total of 656 dead from the invasion. 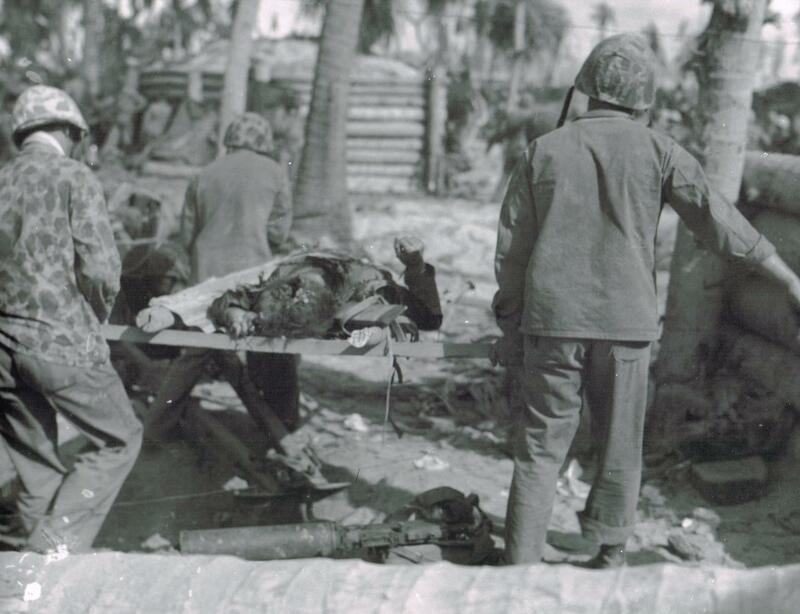 As news of the high casualty count reached the American Press, a public uproar ensued. 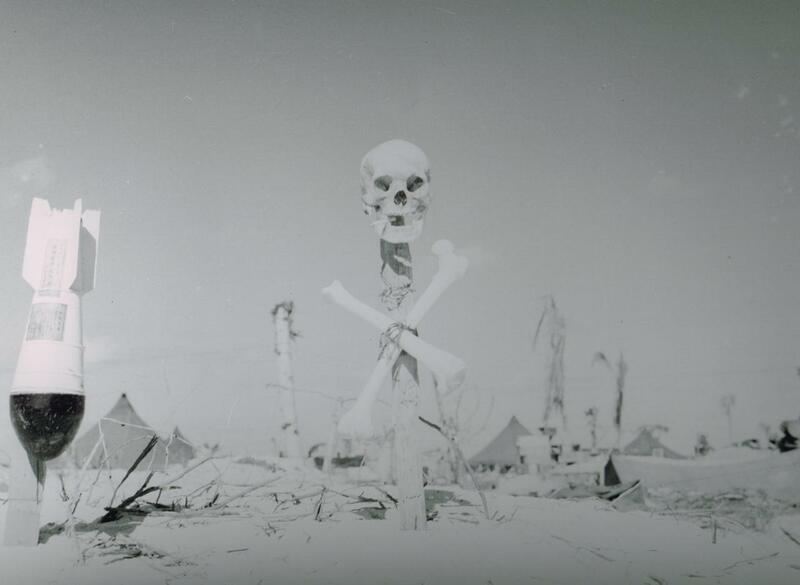 This led the Navy planners on the island to create a memorial showcase on the island in an attempt to quiet the public outcry. 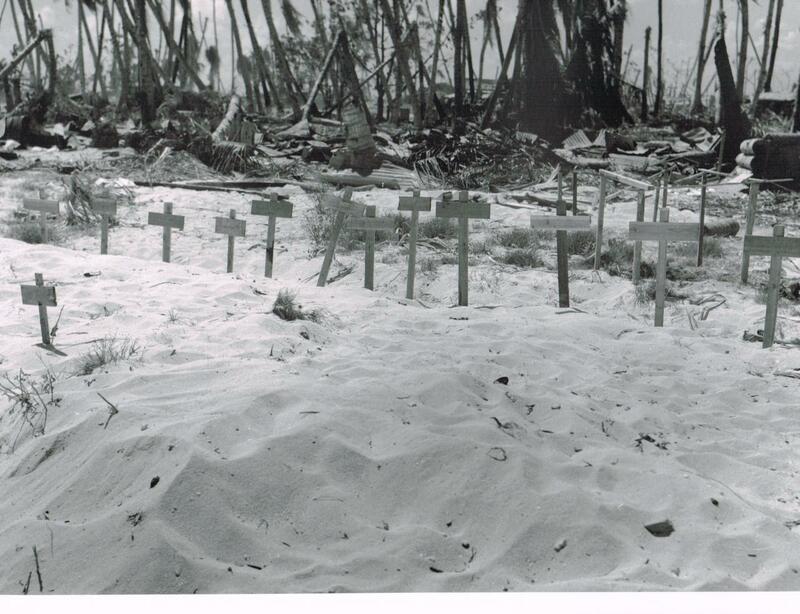 The original grave markers where replaced with white crosses. 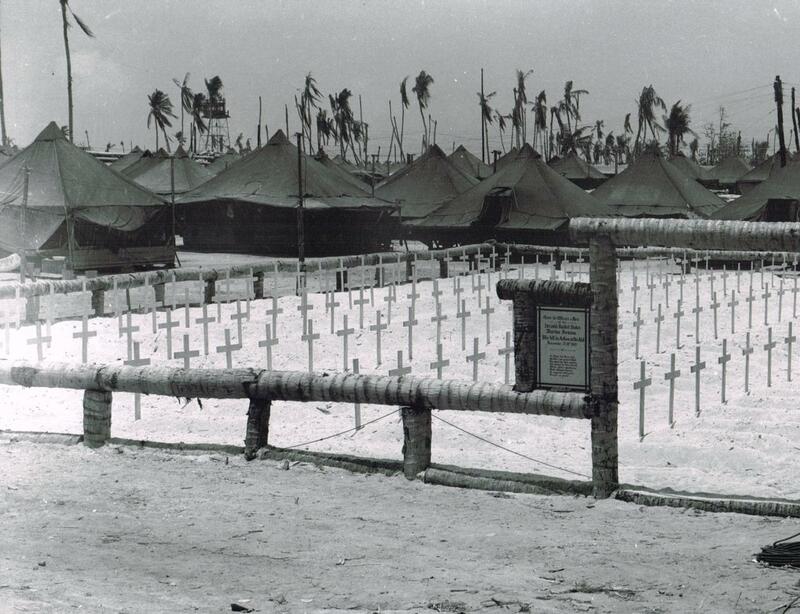 The crosses were arranged in neatly arranged rows without consideration given to the location of the original graves. 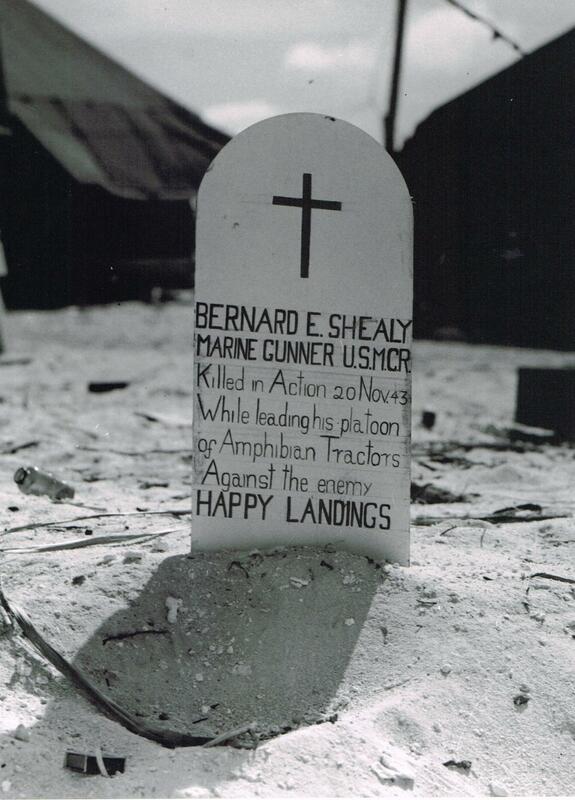 In several cases, the markers were removed from the original graves and not replaced. 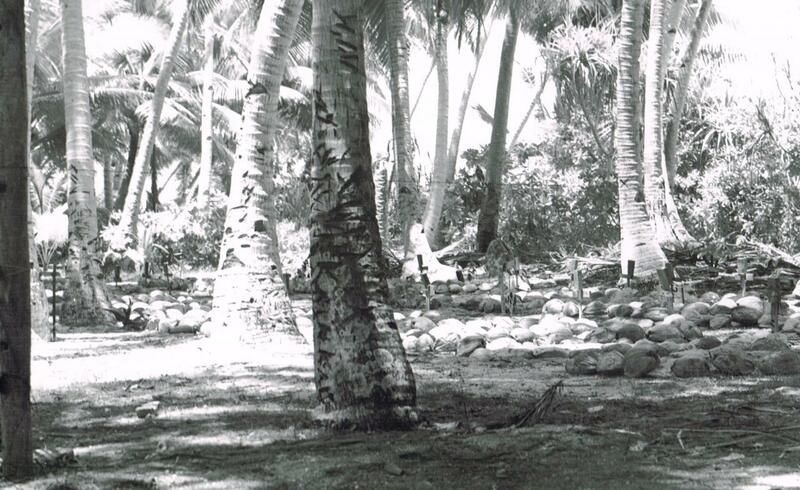 These graves remain on the island to this day. 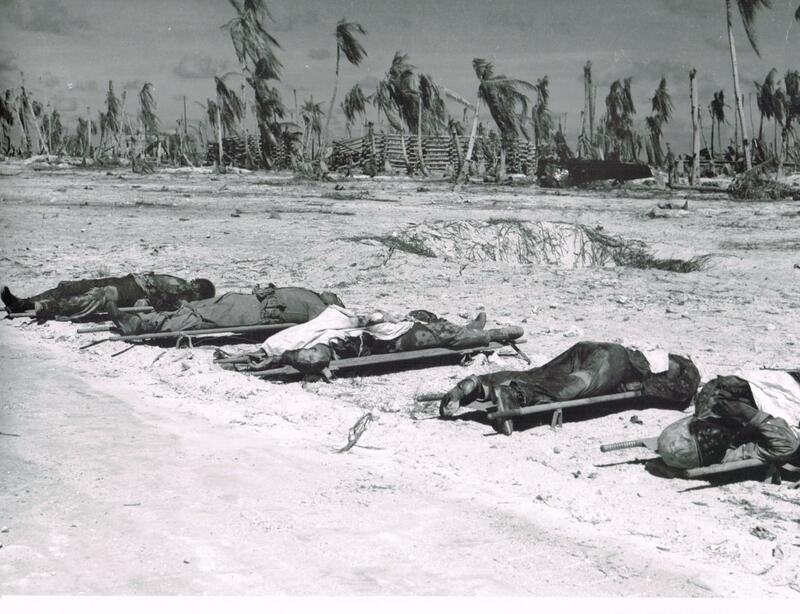 The Navy planners further compounded the situation by creating a large number of memorial graves. 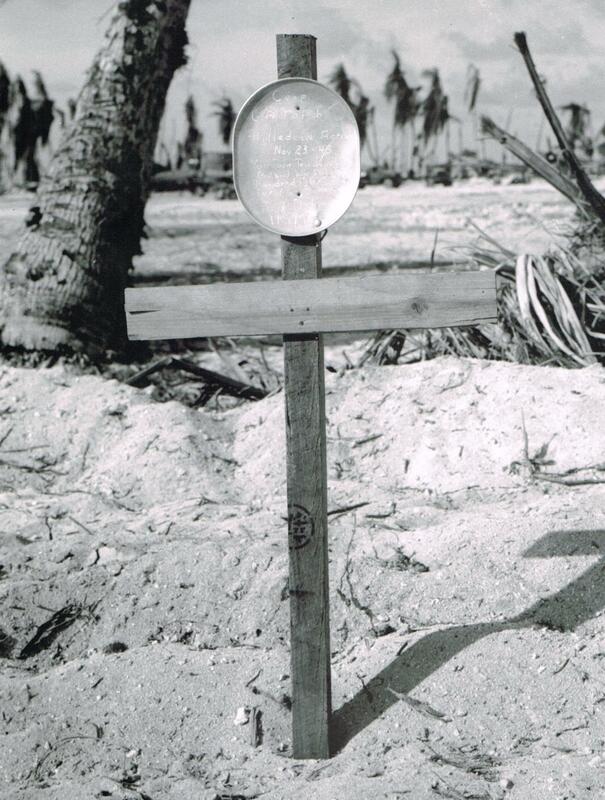 White crosses bearing the names of those buried at sea or missing appear mixed in with the actual graves of those lost. 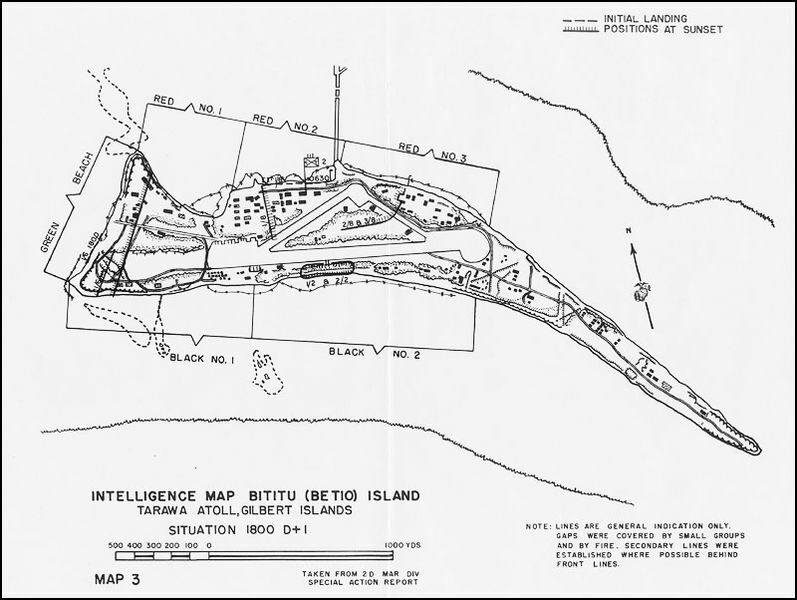 Eighteen additional bodies were buried on Betio and 24 on Buota as the war progressed. 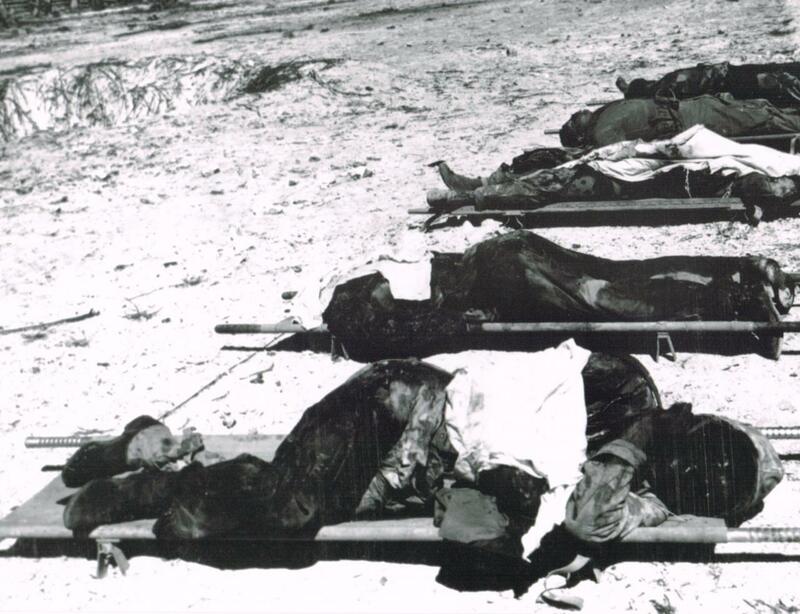 These were largely due to accidents and illness. 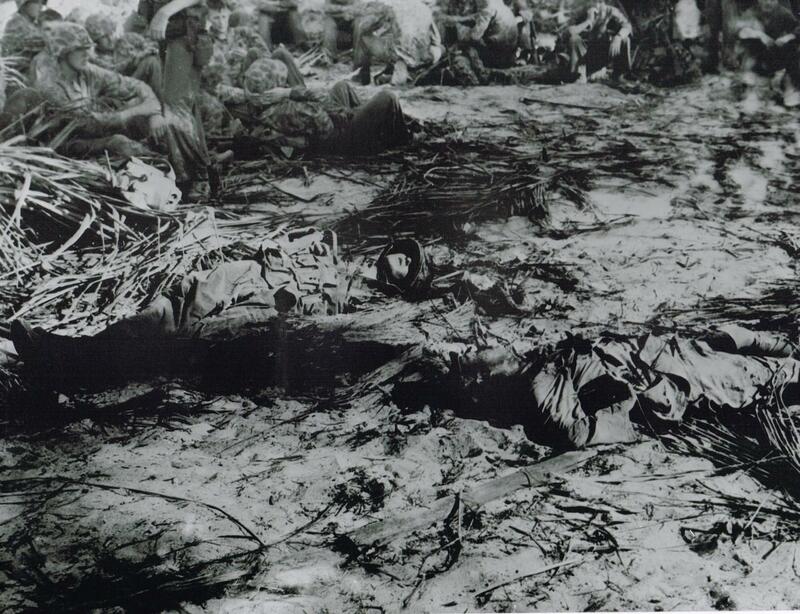 Unidentified bodies recovered from the graves were assigned an X number depending on their placement in Lone Palm Cemetery. The first one was X-1. The numbers ran consecutively thru 278. The count would eventually go higher. 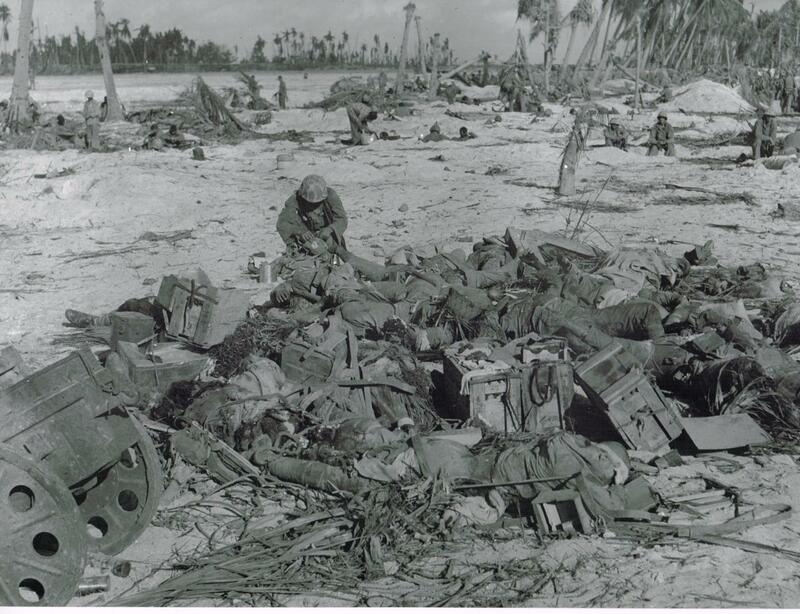 During the post war consolidation of cemeteries, the 604th Quartermaster Graves Registration Company was tasked with the recovery of the 699 bodies on Tarawa Atoll and an additional 11 from nearby Apamama Atoll. 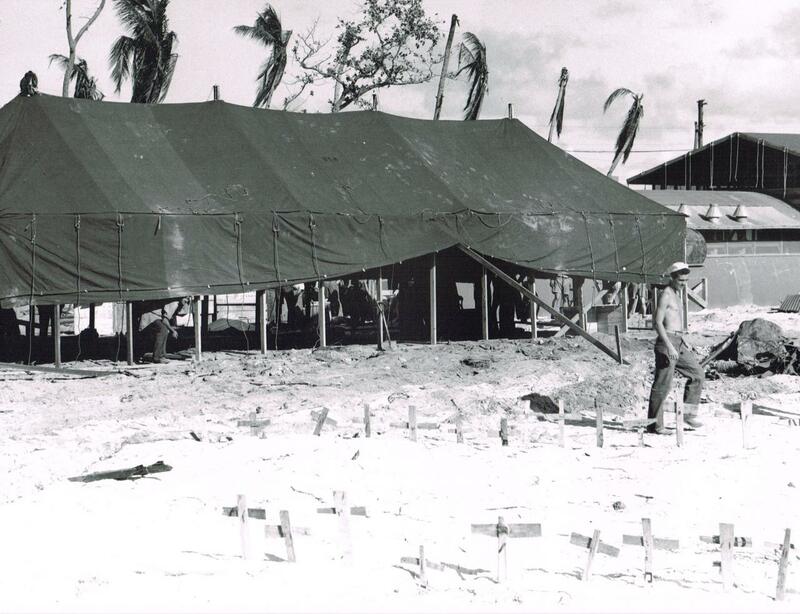 All of the recovered bodies were moved to the new Lone Palm Temporary Cemetery on the west side of Betio Island. 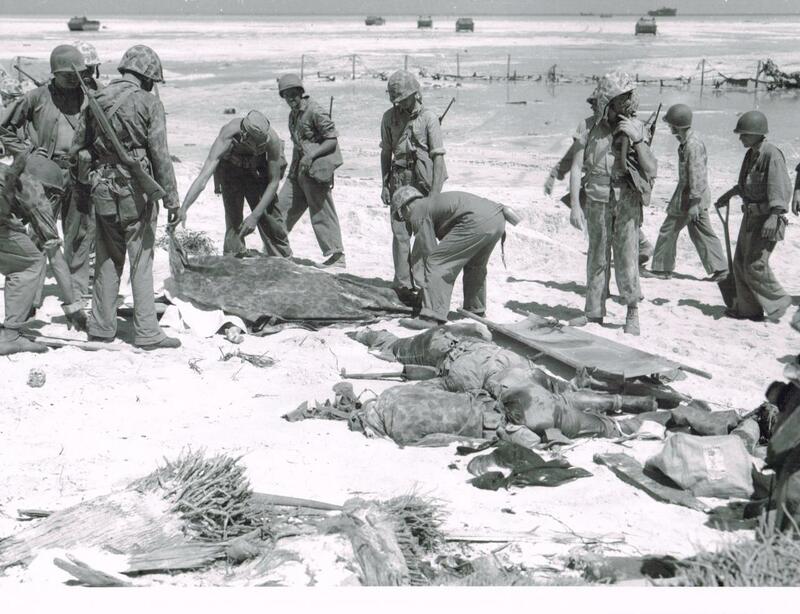 Only 531 bodies came home. 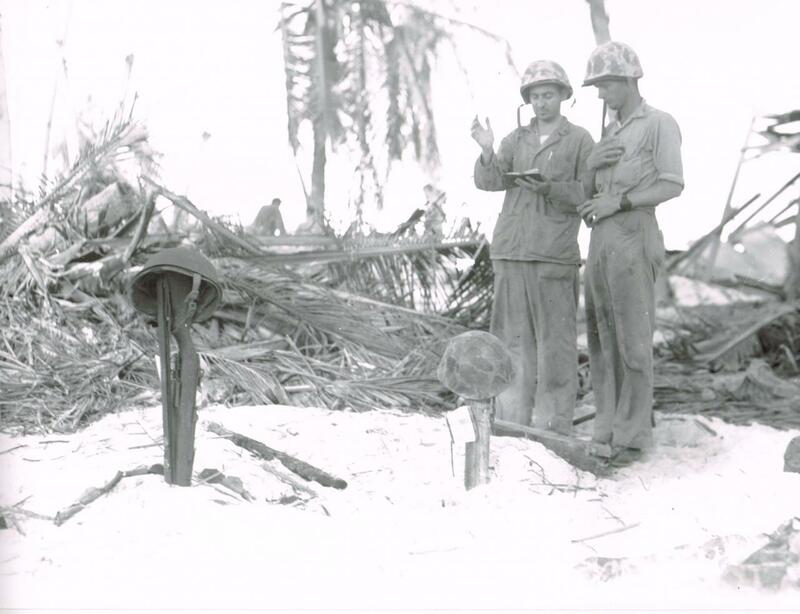 Of that number 95 were unidentified and presently rest in the National Cemetery of the Pacific, Honolulu, Hawaii as UNKNOWNS.